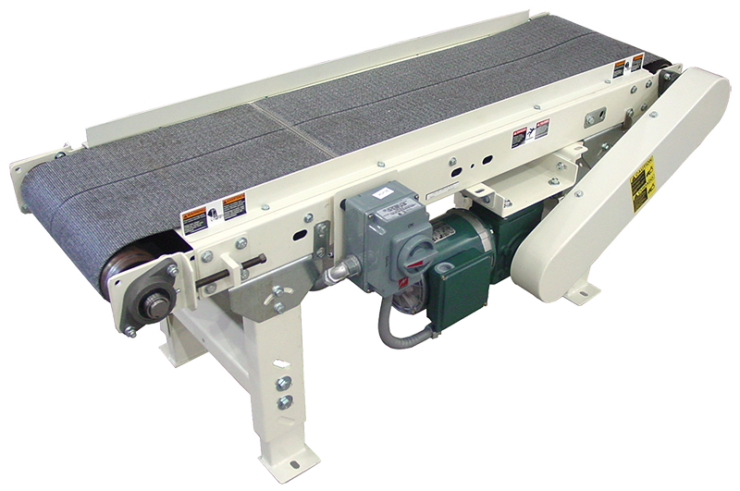 Dillin’s belted conveyors provide both horizontal and incline transport for light-to-medium weight products. Because of their versatility, belted conveyors easily integrate with roller bed conveyors or other types of channel conveyors and can be used for long distance conveyance. The flat surface of the belting, or of the frame beneath the belt, provides an ideal surface for most assembly and printing operations. Slider Bed Belt Conveyors can be integrated with Dillin’s full line of products and controls to provide a stand-alone piece of equipment or a complete, customized system.